The B-1B lancer is a very impressive intercontinental long-range strategic bomber, developed by the American company Rockwell for the United States Air Force. 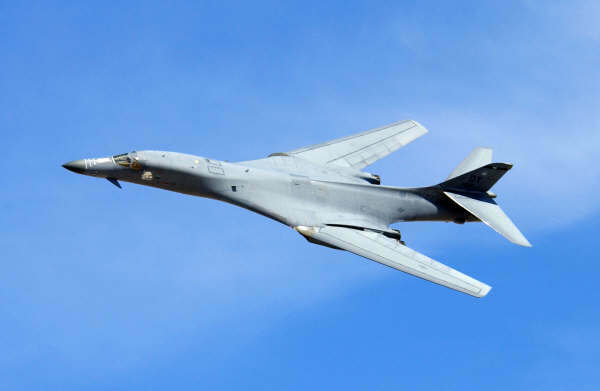 The B-1B is in service since 1986. The US Air Force has 67 of these bombers with 2 for tests. The crew consists of a pilot who is also aircraft commander, a co-pilot and 2 weapon system officers. The B-1B Lancer bombers are stationed on Dyess AFB and Ellsworth AFB. The project for the development of the B-1A to replace the B-52 Stratofortress started in 1970. Four prototypes have been made which could reach a high supersonic velocity of mach 2,2. The project stopped in 1977 but test flights remained until 1981. In 1981 they started again with the development of the B-1 project. 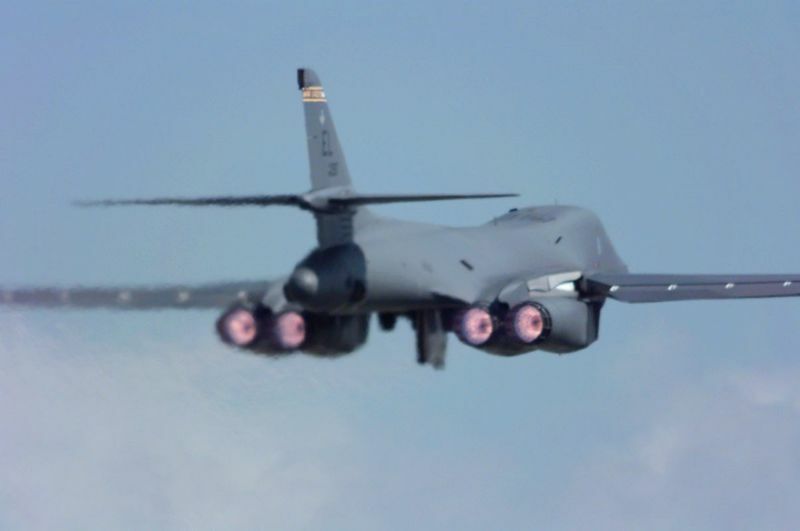 The B-1, which was now designated as B-1B has large changes where of an larger weapon load of 74000 pounds, a improved radar and a lower radar cross section by an order of magnitude. 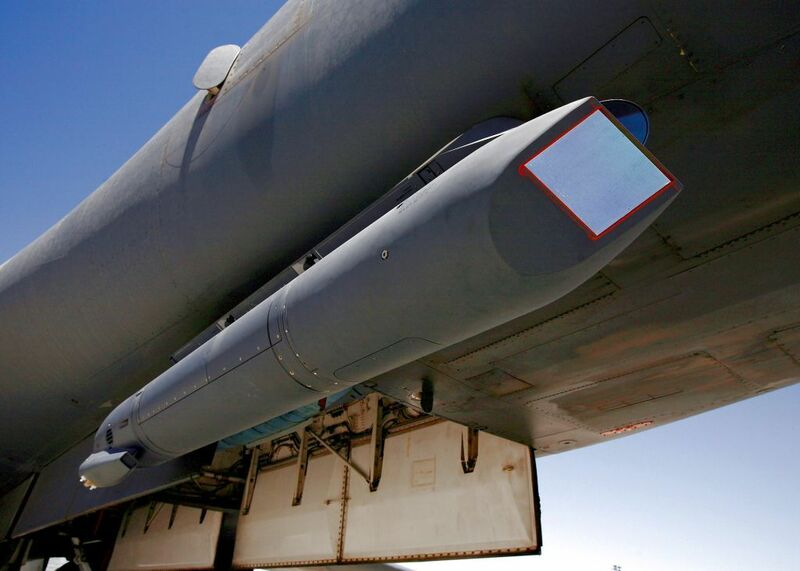 The air inlet ducts have also been modified, but the maximum speed as put down till approximately mach 1,2. The first B-1B flew in october 1984 and was delivered to the US Air Force on Dyess AFB in June 1985. The last one was delivered on May 2, 1988. On october 1, 1986 the first B-1B Lancer became operational. 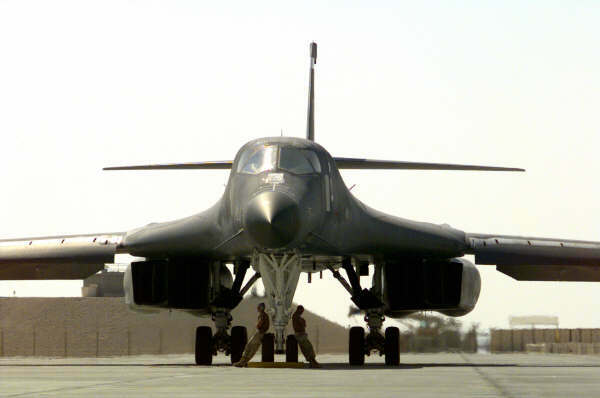 B-1 bombers were first used during Operation Desert Fox against Iraq in 1998. 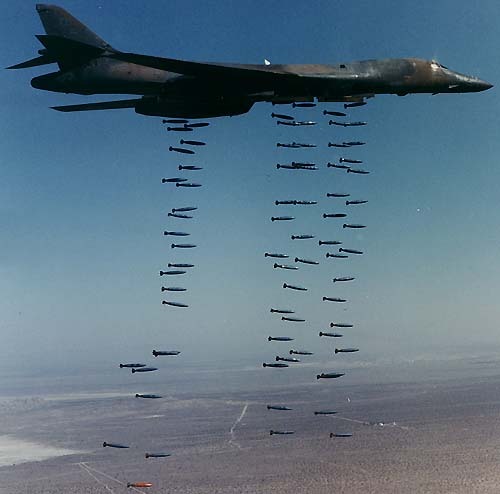 During Operation Allied Force in 1999, six B-1's dropped more than 20% of the total ordnance. Eight B-1's where used to support Operation Enduring Freedom (OEF) in Afghanistan to banish the Taliban. During OEF, they dropped almost 40% of the total bombs (more than 3900 JDAM precision guided bombs) during the first six months. 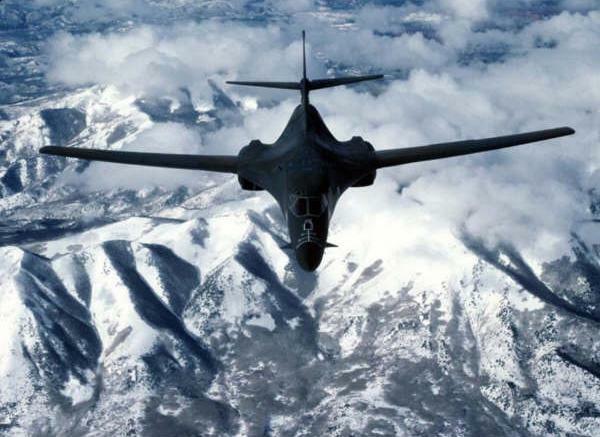 The B-1 has also been used in the first phase of Operation Iraqi Freedom in 2003.